With mortgage interest rates as low as they are at the moment, you may be looking beyond fixed-rate options if you’re in the market to purchase a home or refinance your existing loan. After all, while 30-year fixed mortgage rates are hovering around 4%, some 5/1 adjustable-rate mortgages are in the 2% range. This can certainly push your monthly mortgage payment even lower. And the interest rate on a 5/1 ARM is fixed for the first five years before becoming annually adjustable, so there’s relative safety there if you don’t plan on sticking around for long. For instance, if you sell or refinance before those five years are up, you could save a ton of money over those 60 months. 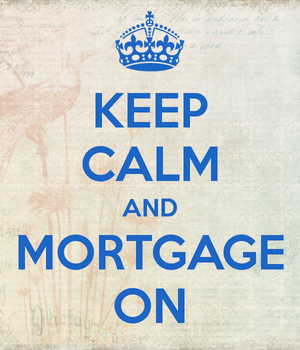 On a $300,000 loan amount, the difference in monthly mortgage payment is roughly $200 a month. Over five years, that’s $12,000. Not an incidental amount by any stretch, but there has to be a catch, right? Well, we’re in a unique spot at the moment. Mortgage rates are pretty much in unprecedented territory. They’re not absolutely rock-bottom, as they’ve risen in the past few weeks, but they’re still at lows not seen pretty much ever in our lifetimes. So looking a gift horse in the mouth might not be the smartest move. Unfortunately, the general consensus is that mortgage rates have nowhere to go but up. That’s pretty much not debatable, given they can’t go much lower, but the big question is when? They could rise quite quickly if the economy gets back on track in a hurry, which is a must eventually, right? So if you reside in a home that you plan on living in for the foreseeable future, gambling on an ARM right now may burn you in the near future. Sure, you may save money over the next 5+ years, but after that, you may find that mortgage rates have surged. At that point, when your ARM is set for its first adjustment, it will most likely adjust higher. And potentially a lot higher. And let’s face it, five years can go by in the blink of an eye. If you can’t handle that interest rate uncertainty, and don’t know if you’ll be selling before the adjustable period ends, an ARM probably isn’t a good choice right now. Once interest rates rise, you’ll be stuck with a larger monthly payment, or forced to refinance to stop the bleeding. And even mortgage refinancing may be out of the question if you’ve got income restraints (debt-to-income ratio). Think of it this way. At the moment, affordability is a lot higher because interest rates are really low and home prices have fallen from their highs. In the future, assuming both home prices and interest rates rise, you may not qualify for a new mortgage, even if you loan amount goes down. So you could be stuck with what you’ve got. Would you rather be stuck in an ARM that’s constantly rising, or a fixed-rate mortgage in the low 4% range? If you’re super confident you’ll move, or be able to refinance no matter what transpires, you can take a chance, but there are probably better times to do so. 1. Buy a retirement home for $280k with an ARM. I have an approved ARM at 1.85%. The ARM is based/arroved in conjunction with a $500k equity account with Merrill Lynch. The rate is based on the Libor. 2. Invest the $300k in an equity based account investing in a broad and diverse set of stocks that pay 2-3% div…. 3. When the ARM rate exceeds the rate of reurn, cash in the stock and payy off the mortgage. Yes, a bit of risk that the equity capital investment stays constant to positve, but seems like a sound strategy. In order to maintain an investment posture that will allow me to continue taking advantage of current motgage and tax write-off? It sounds like you’ve got the liquidity to pursue such as strategy, though it’s not without its risks. Most people don’t. So they won’t have that “Plan B” to just pay off the mortgage if investing doesn’t work out. However, stock prices may decline, especially seeing how expensive they are now. And if that forces you to pay off your mortgage to avoid a higher interest rate, you’ve effectively put all your eggs in one illiquid basket. Or at least $300k. So it reduces diversity in investment. And you miss out on a low, fixed rate for the life of your loan. I’m currently in a 30 yr fixed at 5.99% and want to refinance ( a little late to the game). I’m only planning on staying in my current home for another 2-3 yrs. Would you advise a 5/1 ARM or 30 yr fixed? If you really only plan to stay for 2-3 years, the 5/1 ARM adjusting after five years won’t be an issue. But are you absolutely sure you’ll move before it begins adjusting? That’s the big question mark…or maybe it’s not if you’re certain you’ll be out. You also need to determine the savings (after refinance costs) if you’re only benefiting from the lower rate for 2-3 years. Would a 5 yr arm still work if I only have 75,000. 00 to put down on a 500,000.00 home? Total income is approximately 125,000. A year. You can shop around and see who offers a 5/1 ARM at 85% LTV. Or alternatively, you could look into an 80% first mortgage and a 5% piggyback second. But compare costs and rates to determine what’s best for you.